Today is the first day of spring. The weather in my area seems not to have noticed since it has been cold and not spring like. However, the first telltale sign of spring is sitting my fridge, early ramps. 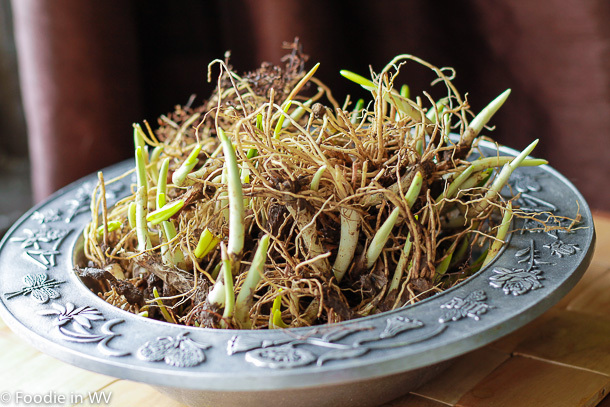 Now if you have read this blog for any given amount of time you will have noticed that every spring I talk about ramps. 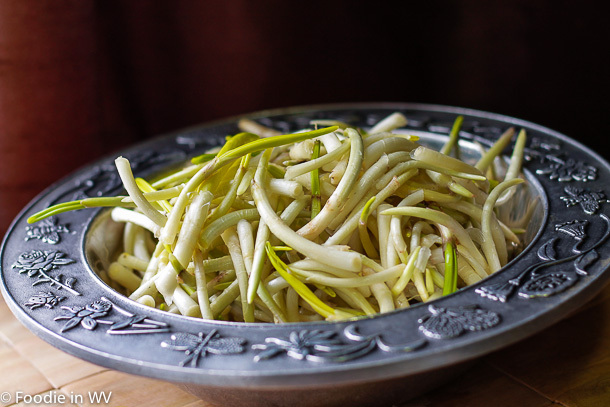 They are a stable of our spring meals and a great substitute for leeks or onions in recipes. While many people prefer the later ramps which have a green leafy top, I am a much bigger fan of the early ramps which are more flavorful and delicious with dishes like pot roast. I am lucky that my in-laws live in the foothills of the West Virginia mountains and are able to buy ramps for me as soon as they are available. They are definitely a great spring vegetable and a quintessential part of the diet of many Appalachians. Ramps can be used a variety of recipes. Early ramps are great pickled, used in pot roast, with roasted potatoes, or as a substitute for leeks or onions. My husband has even used them as a hot dog topping in place of onions. Later ramps with the green tops are great in pesto, biscuits, fried with bacon, or with pinto beans and cornbread. Stay tuned tomorrow when I will use ramps along with potatoes and pesto for a roasted chicken recipe. Thanks for saying what they were because I was about to google Ramps LOL. I have never seen these before. I am looking forward to tomorrow. I can not wait to see the chicken recipe. WOW! This looks awesome! I found your blog through the hop and it attracted me because of the name (I am a grad student at WV! :)) Can't wait to read more and I am excited to be your newest follower! Glade to meet you :) Going over to check out your blog now! New follower from the TGIF Blog Hop! Thanks for stopping by, going over to check out your blog now! I never heard of or knew about these. So many uses for these too. Thanks for sharing!